Milo is bored. There is simply nothing for him to do. 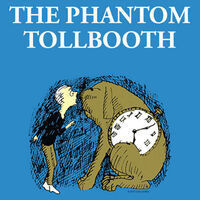 And then, one afternoon, he receives a magic tollbooth. Based on Norton Juster’s beloved children’s book, The Phantom Tollbooth is a fantastical tale of a boy who is transported to a wonderous world—the Kingdom of Wisdom. With a timekeeping talking dog, Tock, as his companion, he encounters a host of unforgettable characters and discovers something magical along the way. Using puppets, masks, magic, inventive scenic effects and original music, The Phantom Tollbooth is a captivating fantasy adventure. Journey along with Milo as he delights in curiosity and knowledge and learns that with humor, good friends and a little bit of courage, anything is possible. Discounts for School Groups: Please call the Box Office at 949-854-4646.